Between crafting food that meets the dietary needs of more than 40 clients and finding new ways to cut costs, Chestnut Hill Meals on Wheels often has a full plate in terms of its demands. Despite the workload the nonprofit faces, volunteers find time to sit down and talk with clients. Volunteers with the organization, which began in 1974 and delivers food to senior citizens and home-bound people, are quick to share stories about the people they’ve served, the conversations they’ve had and the friendships that have blossomed. “Any volunteer you talk to will tell you about someone special that they’ve met,” said Kim Morris, president of the organization’s board. The organization is headquartered in the Keystone House, an old-fashioned building at 8765 Stenton Ave. that acts as the hospice care facility of KeystoneCare. 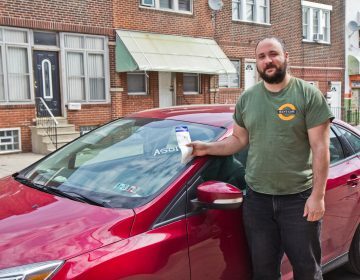 Chestnut Hill Meals on Wheels delivers twice a day throughout the work week in Northwest Philadelphia and Springfield Township for $7 per day. Morris started delivering more than seven years ago after her first son was born. Her first “drive,” her son alongside her, was to Gabriela De La Campa’s apartment on West Evergreen Avenue. Morris said she subsequently rearranged her schedule so that De La Campa was her last client of the day. The new arrangement afforded the two extra time to talk. De La Campa has since moved into an assisted living center and no longer uses the program. But Morris and her children still visit the former beneficiary, usually once a month, Morris said. Chestnut Hill Meals on Wheels includes seven different routes. Recipients typically have to be 65 years or older – although exceptions can be made for other home-bound people, Morris said. Two meals – one hot, one cold – are delivered to a client in one trip, starting at 10 a.m., Monday through Friday. Although the price for the meals is $35 per week, subsidies are available for those who qualify. Morris said one of the misconceptions about the program is that medical reasoning is needed to become a client. “We hate to turn anyone away, so anytime we can say yes, we do,” Morris said. Currently, the program averages 40 to 45 customers. While the organization – like its counterparts throughout the city – has a solid list of clientele that fluctuates by a few people, Morris said she’d like to see that range increase by 10. The nonprofit is also continually finding ways to raise and save money. For starters, Morris works one day in the office to save the organization from paying an employee for that day, she said. The organization often applies for grants and holds fundraisers to offset costs. In the spring, the group hosts a silent auction and game night. To work efficiently, Neil Kantner, chef at the Keystone House and for Chestnut Hill Meals on Wheels, said he tries to encompass the meals for the nonprofit with what he is cooking for those in the hospice facility. The organization tries to cater to preferences and dietary needs as best as possible, Morris said. E. Wilecki, 90, said he started using the service after his sister, who did a majority of the cooking in the household, died. “People were telling me this was the best thing for me if I’m living alone,” Wilecki said, adding that he generally enjoys the food. The Rev. Hillary West delivered E. Wilecki’s last two meals of the program Friday afternoon.Last Friday marked his final day using the service. As he prepares to move into an assisted living center, he said he’ll remember them. “I’ll always remember my Meals on Wheels,” Wilecki said with a laugh. People who use the program come and go – but, volunteers said, the relationships still remain. The same day that marked Wilecki’s last meals with the program, new volunteer Jill Bown went on her first round of drives with veteran volunteer Sue Knerr.